Bella is a delight to be owned by a very outgoing intelligent butterfly. 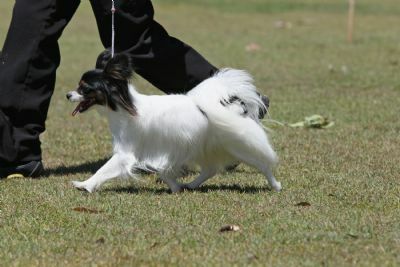 Bella has movement that thrills us and some judges thanks to the wonderful breeding she has behind her. 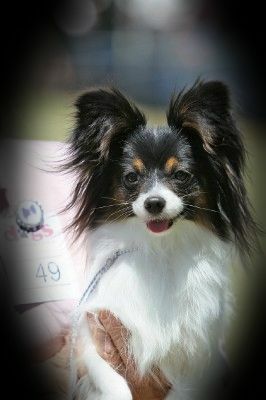 Joseph "ENG CH BODEBI RHYTHM IS A DANCER " her father is a BIS speciality winner. Daneview Rhythm n Blues is also the mosted acknowleged stud dog in UK to date. 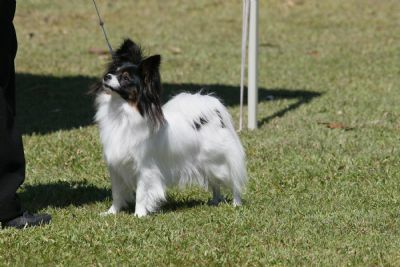 Bella has made us very proud having been awarded Queenslands No 1 Breed points Papillon for 2014, and she had time off for maternal duties producing two very exciting prospects.